Takeuchi is an ISO 9001 certified manufacturer of an extensive line of compact track loaders, compact excavators, compact wheel loaders and skid steer loaders. Takeuchi-US, an innovative global leader in compact equipment, has announced SMS Equipment Inc. as a new dealer. Headquartered in Acheson, Alberta, Canada, the dealer has over 35 locations across Canada and one in Anchorage, Alaska to support Takeuchi. They will carry the full lineup of Takeuchi products, including excavators, skid steer loaders, track loaders and wheel loaders, in addition to stocking parts and performing equipment repair. Established in 2008, SMS Equipment partners with world-renowned brands, providing equipment sales and services to the utility, construction, forestry and mining industries. The dealer promotes advanced equipment technologies that result in cleaner, more efficient ways to build communities, create infrastructure and develop resources. For more information on Takeuchi track loaders, wheel loaders, excavators or skid steers, visit www.takeuchi-us.com. Takeuchi is an ISO 9001 certified manufacturer of an extensive line of compact track loaders, compact excavators, compact wheel loaders and skid steer loaders. 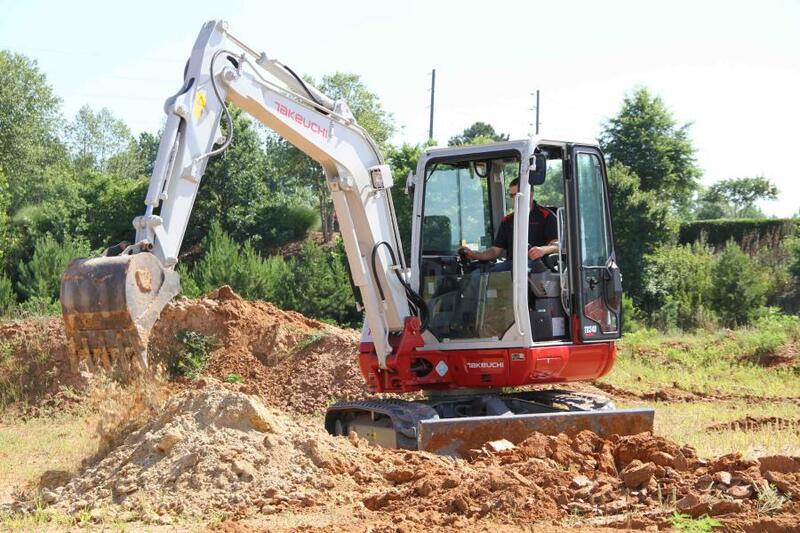 Founded in 1963, Takeuchi was the first company to introduce the compact excavator to North America. Takeuchi also introduced the first compact track loader to North America.